After lunch at Tambo we headed to Blackall and a camp we have stayed at before on the banks of the Barcoo River. 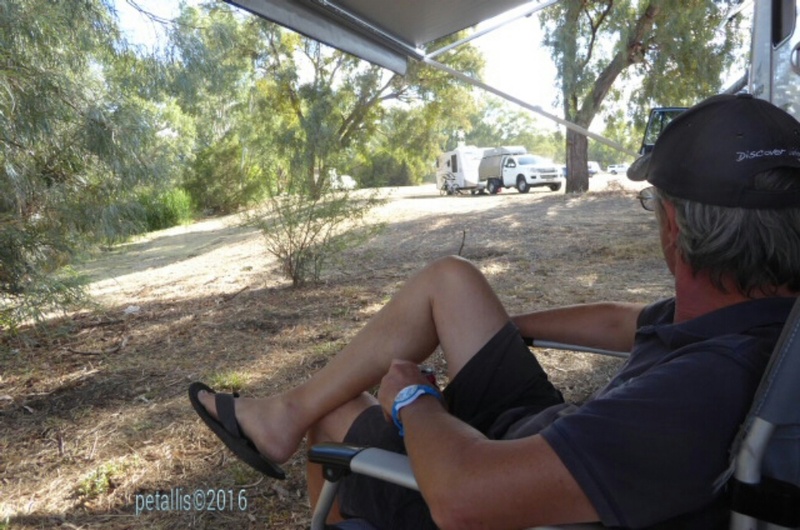 Both Peter and I like Blackall, and if we were to to EVER think about retiring to the country, it would be Blackall. We love the history and the friendliness of the people. We headed straight to the information centre which is located in an old railway carriage in 'Ram Park'. This is where one pays the $8 fee for camping. During the afternoon a volunteer exercises his horse and goes from van to van saying O'Day and having a chat - he was also checking that campers were registered. There is so much to see. The main street has history boards telling the story of the buildings and it's people, there are town murals, and interesting sculptures are dotted all around town. 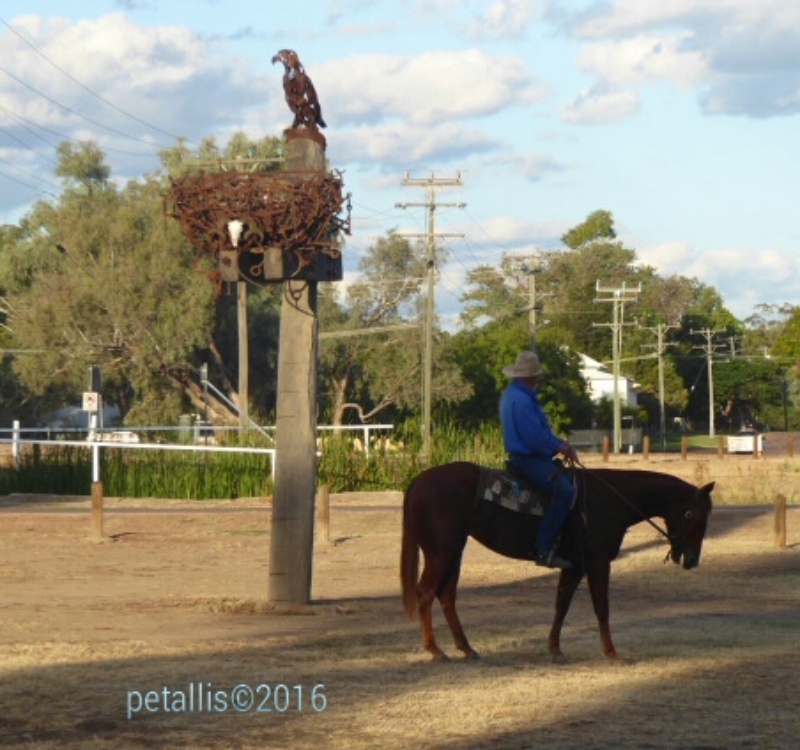 This one is the 'Eagle and the Nest' and is at the end of the camp ground. 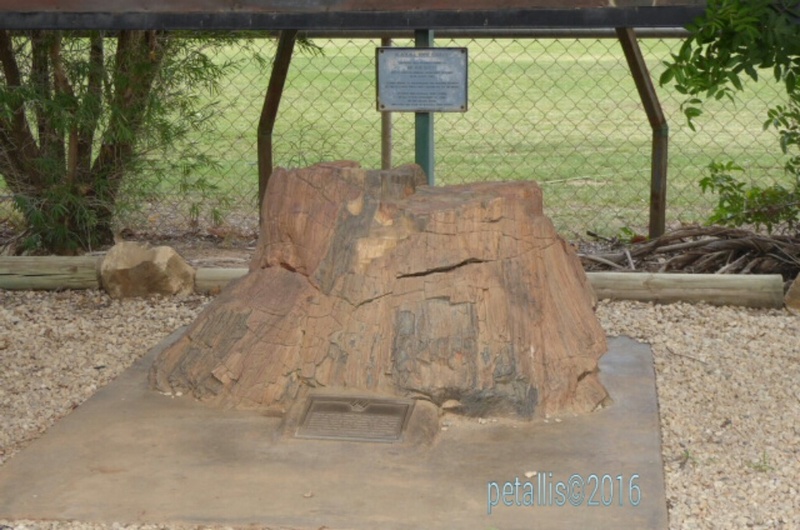 The town is famous as the town of World Champion Shearer in 1892, and for the 'Black Stump'. 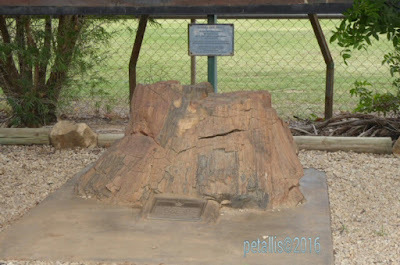 The Black Stump is located at the site used by surveyors in 1888 to establish a principal meridional circuit around the town to work out latitude and longitude. 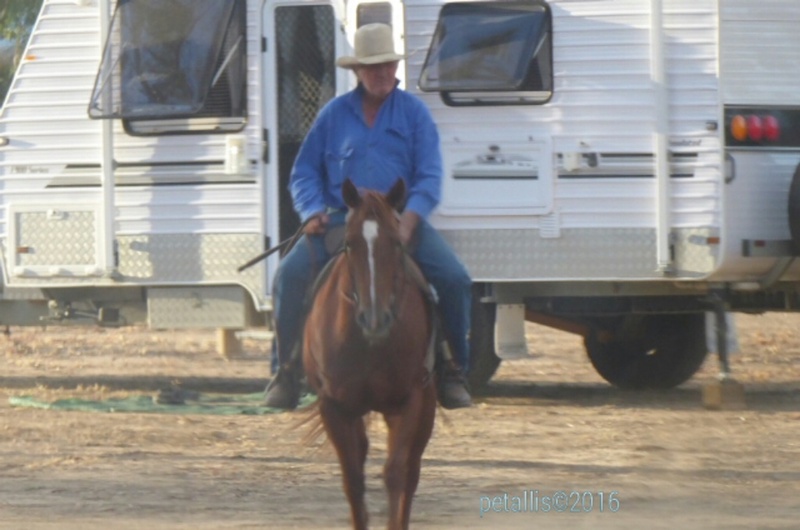 Similar to 'going to the back of Bourke', if one were going outback one would say 'going beyond the Black Stump. Sir Thomas Mitchell explored the area in 1846, and land was opened up for settlers establishing many cattle and sheep properties. 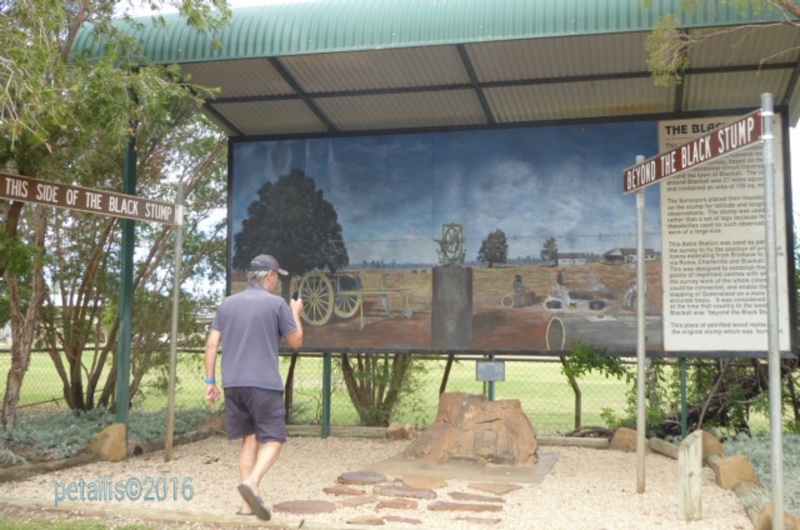 The town of Blackall was declared in 1868. It was named after Queensland's second Governor, Samuel Blackall. The first meeting of shearer that led to the formation of the Shearer's Union in December 1886. This group later became the Australian Labour Party. We will visit other sites related to the ALP and shearers in the week to come. 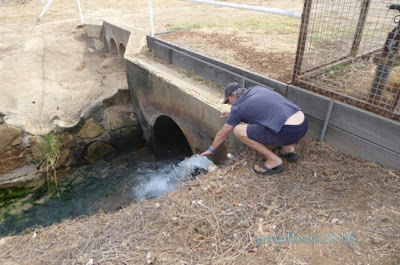 All the water in Blackall is from the Great Artesian Basin and down the road from our van was the original 1885 Pioneer Bore. Blackall was the first town in Queensland to sink an artesian bore. It was sunk to 800 metres, and is one of three bores that service the town today. The water is a very hot 58-62 degrees centigrade. The bore water overflow runs into the river. The river was originally Victoria River, but was changed to Barcoo, Aboriginal meaning 'ice on water'. 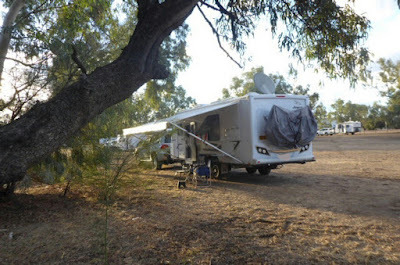 There were about a dozen vans in the camping area when we arrived and about another dozen came while we were there. It is an easy walk to town and the pubs and cafés. We only stayed one night, but will plan to stay longer next time. The town seemed to have more shops open this time, which is good for the town. We spent the afternoon relaxing by the river. Bit of trivia - Pauline Hanson was married here in Blackall. 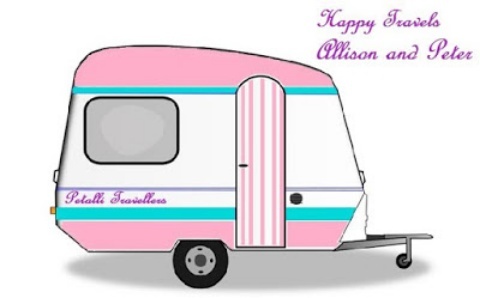 Another very interesting blog - I love reading about the places you travel too.